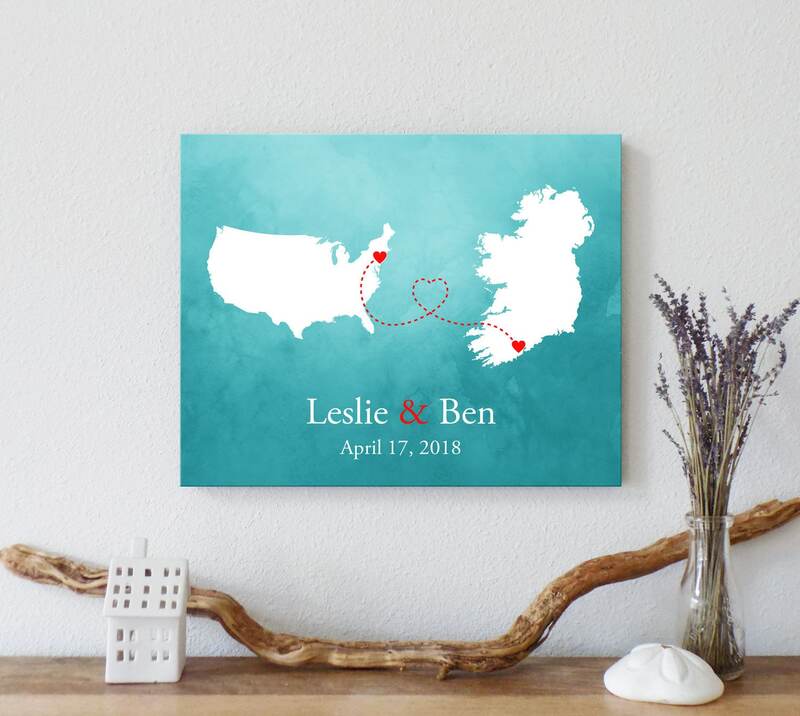 Custom print featuring the map of any two countries or states, with the hearts placed in the location of your choice and personalized with your names. Choose from a variety of beautiful watercolor backgrounds. It makes a great reminder of your long distance love story, military deployments, or adoption. This artwork makes a beautiful wedding, anniversary, or engagement gift. It can also be used as a guest book alternative, allowing guests to sign the print instead of a book, and afterwards, you can hang it in your home as a keepsake reminder of your special day. It was perfect. Shipped fast. I requested a change to the order, and really appreciated how accommodating the seller was. THANK YOU. This is the best gift ever! It’s so well made!